Did you know the U.S. Government has loopholes in Patent Law that allows it to steal intellectual property? Better yet, corporate America can take advantage of this loophole to reap profits and avoid compensation and recognition of U.S. patents and intellectual property. Such is the case of a patriot, my father, who served in the military and helped to put a man on the moon and walk in space, and supported our nations military and aerospace industry throughout his career. He was a modest man with a brilliant mind. The case law is cited below. Briefly, Lucent Technologies infringed on Crater's U.S. Patent No. 5,286,129 (the " '129 patent"). The '129 patent’ is directed to an underwater coupling device (the "Crater coupler"). In addition, Lucent breached a contract and misappropriated a law for trade secrets to avoid compensation and recognition of the patent rights and due protections. Lucent argued that it was not liable for patent infringement because any work it performed with respect to the Crater coupler was done under a government project and was authorized by the United States and was a “secret”. So Lucent’s claim is that because they were to use the coupler for a “secret” DOD job no one deserved credit or compensation for the patented, intellectual property. And, who earns government contracts worth millions and billions of dollars? Please feel free to review how the U.S. government, DOD, Lucent Technologies, Inc. and American Telephone and Telegraph Company schemed to find a way around honoring a man and his mind. I find it ironic that by simply not following the law and patent rights the U.S. government, DOD, Lucent Technologies, Inc. and American Telephone and Telegraph Company have actually put a light on their secret. Not a secret anymore. If you ever see this coupler (valve) used by the DOD, Lucent Technologies or AT&T, (now owned by Nokia), beware, it is top secret and stolen property. I would love to know how my father’s patent protected, intellectual property is being used and where and how and why. Feel free to tell the world if you ever see this and let everyone know a patriot and honest man created it, Philip D. French. I would also be interested if Lucent or AT&T or any of their subsidiaries have ever used this device for any non-DOD, or government “secret” projects. I would guess they found other applications given the brilliance of the idea. You are now my eyes and ears and voice! In my humble opinion the following persons are unethical people and non-patriotic. They did not honor the oath of office for which they are sworn to serve nor did they morally meet their role as leaders or representatives of our nation and its people. They knowingly undermined the rights that protect the individual and the ideas that made our nation what it is. •	Mayer, chief judge, circuit judge. Schall. •	Louis F. Bonacorsi, Bryan Cave LLP, of St. Louis, Missouri, argued for defendants- appellees Lucent Technologies, Inc. and American Telephone and Telegraph Company. •	Collette G. Matzzie, Attorney, Appellate Staff, Civil Division, Department of Justice of Washington, DC, argued for defendant-appellee United States. With her on the brief were Mark B. Stern, Attorney, Appellate Staff; and John R. Tyler and Lisa A. Olson, Attorneys, Federal Programs Branch, Civil Division. I think there is a joke here. “How many lawyers does it take to dismantle our nation’s foundation of liberty and justice for all?” What pledge was that attorneys? These individuals played a part in not upholding the basics of law, but subverted the law. It is really all about money, not secrecy or security. Do you really think Lucent Technologies had to hide the purchase of a technology and use of a patented Crater coupler? Really? The DOD, who’s mission is to “protect and secure”, failed at protecting its foundation – a single individual that had an idea and did everything right to make it a reality. Only in America! When the foundation crumbles the rest comes down in time. I fully understand life is not fair all the time. But in legal proceedings such as this, it should not be about who tells the best story but the truth; what is right and ethical and moral. Common sense should rule once in a while. This was clear in Circuit Judge Pauline Newman’s assessment of the case, "Although there may be areas of such sensitivity that no judicial exposure can be countenanced -- such as, perhaps, the formation of the Manhattan Project -- there is no suggestion that the sensitive information concerning the Crater Coupler cannot be protected by well-established judicial procedures for preserving the security of sensitive information." Judge Newman argued that a saner solution would have been to proceed with the case behind closed doors in response to a ruling not allowing access to US DOD records. Again, and in fact, Lucent Technologies and the DOD, by not being honest and transparent, and recognizing the laws and protections of a patent and intellectual property, put more light on this subject, the Crater coupler, and their secret covert operations than if they had just followed the law. 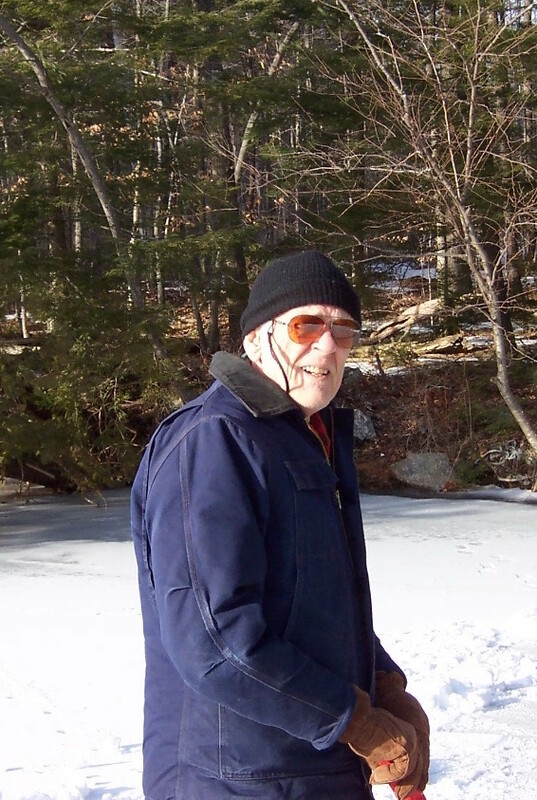 I am very proud of my father, Philip D. French, 1931 – 2007, for his service to this nation, for helping to put a man on the moon, and sharing his brilliance with the world in his humble and honest way. Remembering and Loving a Patriot and Shedding Light on the Hypocrisy That Denied Him.. Happy Birthday Dad, February 3rd. Love you and Happy Birthday Dad!